I recognized a (former colleague) reporter and discovered that this was in fact a real event. After 33 years, a basement search was being conducted for Etan Patz. The search has concluded, and nothing of consequence has been discovered. It is impossible to not feel heartbreak for the parents of Etan. No doubt it has been years, if not decades, since they lost hope of any closure. One can imagine the tempered optimism they allowed themselves to feel during the first dozen or so years after his disappearance. Maybe he had been kidnapped and once he turned 16 or 18 or 20, he would contact his parents? After all, he was 6 1/2 when he vanished, he would remember his early life in Soho. But after 33 years, with the suspected murderer imprisoned; jackhammers, press conferences and a media circus could not have been welcome. If remains of their son had been found, perhaps the frenzy would have been worth it. And frenzy it was. Local news stations wasted no time in creating “Search for Etan” graphics. Had the search lingered, no doubt CNN would have used a Gaelic melody to accompany updates. The irony of course is that Etan disappeared in 1979; before cable news and a 24 hour news cycle, when perhaps it could have done some good. Etan disappeared from a sleepy neighborhood where everyone knew each other. Small children walked alone (and played) on the street. A 6 year old “helping out” a handyman would not have been seen as suspect. A first-grader not showing up for school would not have sounded any alarm. It was Etan’s disappearance which spurred the ubiquity of the “milk carton” children and missing child awareness. 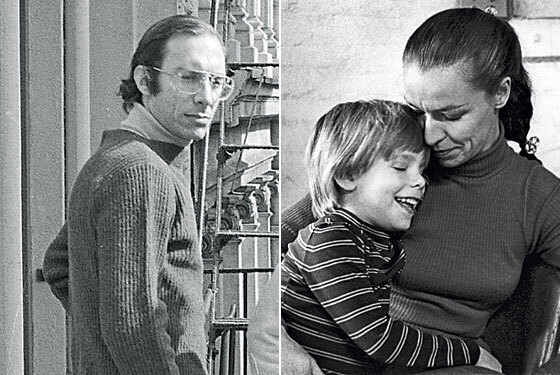 Ronald Reagan created Missing Child Day (May 25th) in honor of Etan Patz. Highway alert systems and heightened security have followed as has school protocols. Aging software was created to show how a child might appear in later years. It was the disappearance of Etan that galvanized a consciousness. Perhaps this legacy is of some small comfort to his parents. However, I suspect that living amidst the delirium of the past 5 days might instead just be excruciating. As they still do not know what exactly transpired that day 33 years ago, they may believe that a little of this 2012 frenzy in 1979 may have saved their boy. What a great, realistic and respectful piece this is. Thank you. I am resident in Sydney, Australia and (as an avid true crime reader) I have followed this case ever since I became familiar with it many years ago. I have been constantly checking to see if anything came of this latest search. And … so so so hoping for little Etan’s parents that something would be found to afford them some “closure”. Needless to say I am profoundly sad now that I have heard that nothing appears to have been found! Thank you for sharing your thoughts, feelings and kind words.